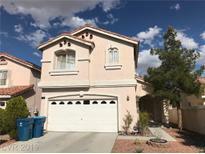 Below you can view all the homes for sale in the Erie Torrey Pines subdivision located in Las Vegas Nevada. 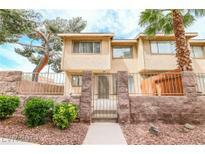 Listings in Erie Torrey Pines are updated daily from data we receive from the Las Vegas multiple listing service. To learn more about any of these homes or to receive custom notifications when a new property is listed for sale in Erie Torrey Pines, give us a call at 702-323-5933. New floors & paint throughout w/upgraded baseboards MLS#2088397. Blackstone Realty & PM. A Must see if you are looking for a affordable home that is in a great location. MLS#2086648. Urban Nest Realty. This home is part of the Paseo at Coronado Ranch HOA. Must SEE!! ! MLS#2085980. Realty ONE Group, Inc. Located in the southwest area, very clean and move in ready. Come and see this home! MLS#2085030. Realty ONE Group, Inc.
Backyard is an entertainers dream with a built in grill, pool & spa and covered patio. MLS#2083972. Silver State Realty & Inves. Almost 3000 Square Feet At $108 Per Square Foot. MLS#2083207. Go Global Realty. Upgraded features include fresh interior paint. Part of the Elsinore HOA. MLS#2082123. Opendoor Brokerage LLC. Backyard boasts a covered patio for you to enjoy the sparkling pool/private spa and fruit trees! MLS#2080101. Simply Vegas. Granite countertops, Shutters, Bonus room upstairs and huge backyard to entertain guests. MLS#2080495. Century 21 Gavish Real Estate. This home is part of the Paseo at Coronado Ranch HOA. MLS#2077675. Opendoor Brokerage LLC. Buyer and Agent to verify all data contained in this listing which they are relying on. MLS#2076656. Five Star Real Estate & Proper. *STUNNING NW 1 STORY ON PREMIUM 1/2 ACRE LOT HIGHLIGHTED BY AMPLE SQFT, POOL & 3 CAR GARAGE IN GATED COMMUNITY*LARGE SPARKLING POOL THE FOCAL POINT OF A DREAM BACKYARD BUILT FOR ENTERTAINING*SPACIOUS FLOOR PLAN DESIGN w/ 3,692sqft ~ 4 BEDROOMS + DEN*UPGRADED GOURMET ISLAND KITCHEN OPENS TO HUGE FAMILY ROOM*FORMAL LIVING & DINING*LUXURIOUS SEP MASTER SUITE*NEWLY REMODELED & HIGHLY UPGRADED! MLS#2075129. NextHome Community Real Estate. Master bath has large spa-like tub and built-in linen closets. Also listed for rent $1300/month MLS#2073762. NewMarket Realty Group LLC. A sparkling salt water pool with solar heating, large relaxing hot tub, gas stub out for outdoor grilling anytime all highlight the perfectly manicured backyard. MLS#2073227. BHHS Nevada Properties. This Home Is A Must See MLS#2070741. Urban Nest Realty. MASTER SUITE with new flooring! NEW PLUSH CARPETING throughout! MLS#2064295. Forever Home Realty. Close access to freeway and shopping. MLS#2061207. Golden River Realty. Popular Floor Plan with downstairs Master Suite~6 bedrooms, 3.5 baths~Great culdsac in Southwest Area, minutes to airport, strips, restaurants, shopping, parks, school~Plantation Shutters throughout~All bedrooms have walk-in closet~Formal Living, Formal Dining~Large Family Room downstairs, Oversized Loft or Family Room upstairs~Covered Patio~Bright kitchen with island~Extensive lighting~Ready to move in~Make an OFFER today! MLS#2058016. BHHS Nevada Properties. Attached two car garage. Needs some TLC. MLS#2057094. Century 21 Americana. This home is part of the Paseo at Coronado Ranch HOA. MLS#2053677. Opendoor Brokerage LLC. Laminate flooring downstairs and tile in all wet areas! MLS#2051418. eNational Realty Group. Gas fireplace, ceiling fan & skylight in living room. MLS#2036981. iProperties International. Home comes with a 30-day buyback guarantee. Terms and conditions apply. MLS#2028762. Opendoor Brokerage LLC. Backyard Has Covered Patio And Easy Landscaping. MLS#2021107. Blue Diamond Realty LLC.